Around since the 12th century, the twisting streets of the Old Town have offered up plenty of allure for visitors. Many of Stockholm’s best hotels centre themselves here taking advantage of the areas cobbled stone streets, medieval atmosphere, and winding alleyways. Really… this area is beautiful and the architecture will make you feel as if you are in a period piece film. Be forewarned however that there are several shops and restaurants that take advantage of the many tourists in this area and over price their foods and goods to target that market. Just hunt around a little and you will be able to find better stuff just down an alley way. 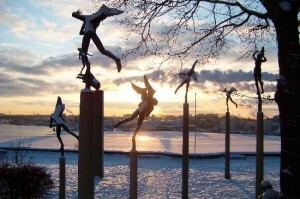 Millesgården is an outdoor garden that features Carl Milles, one of the best sculptures in Sweden’s, work. 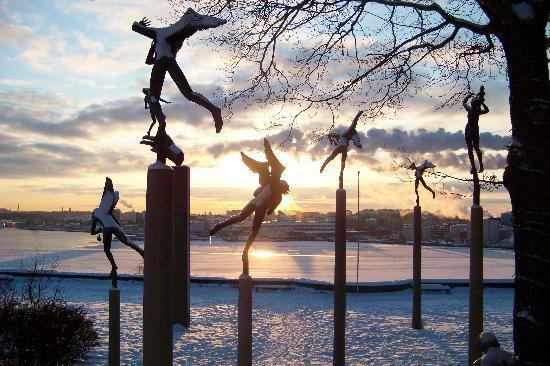 Many visitors to the city consider this garden one of the most beautiful and serene places in Stockholm. Some of Milles most popular and acclaimed pieces such as Hands of God are here. People recommend coming here and spending a lot of time soaking in the pieces and just relaxing. Open from 11 am to 5 pm in the summer the price of admission is approximately $13 US dollars. An interesting way to spend time in Stockholm is to come to Skansen, an open air museum that showcases how life in Sweden was in the past. The concept of this open museum is that 150 older building from around Sweden were take down and rebuilt here at Skansen for visitors to enjoy. Complete with re-enactments of how people lived in the past this is a place that history lovers will enjoy. The museum is so large that people suggesting allowing for at least half a day to take in its sights. Conversely to all this historic fun the area nearby also has a zoo, an aquarium and several great restaurants and cafes.